How do I get to the Atherton Tablelands? The Atherton Tablelands sits at the very heart of Tropical North Queensland and is the ultimate self-drive holiday destination. You can travel by air to Cairns and hire a car to experience the Atherton Tablelands. By road, you can travel through any one of the gateways of Cairns, Port Douglas, Cassowary Coast, Cape York and the Savannah Way. Visit our page Getting Here for more information on the specific routes from each Gateway. Comments Off on How do I get to the Atherton Tablelands? 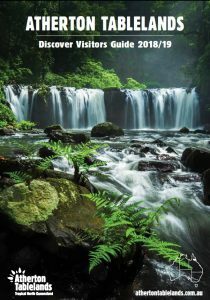 Where can I find out about events happening on the Atherton Tablelands? What is the mobile/internet coverage like across the Atherton Tablelands?